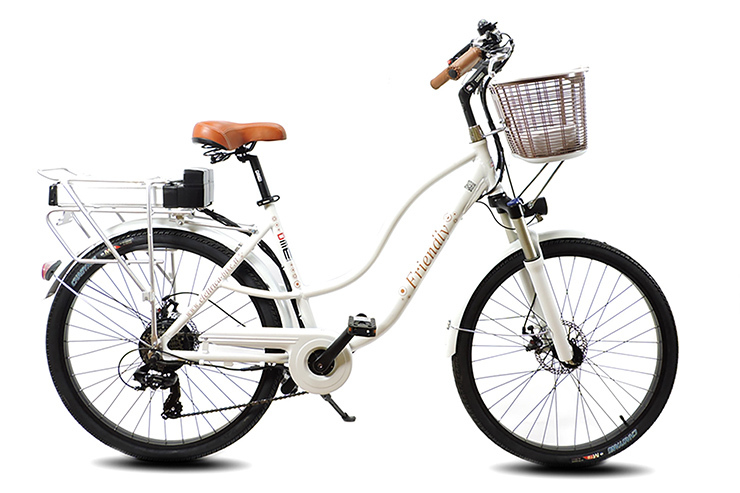 Electric city-bike 27.5 ", mechanical brakes, double shock absorber, aluminum rims, 5 levels of assistance. 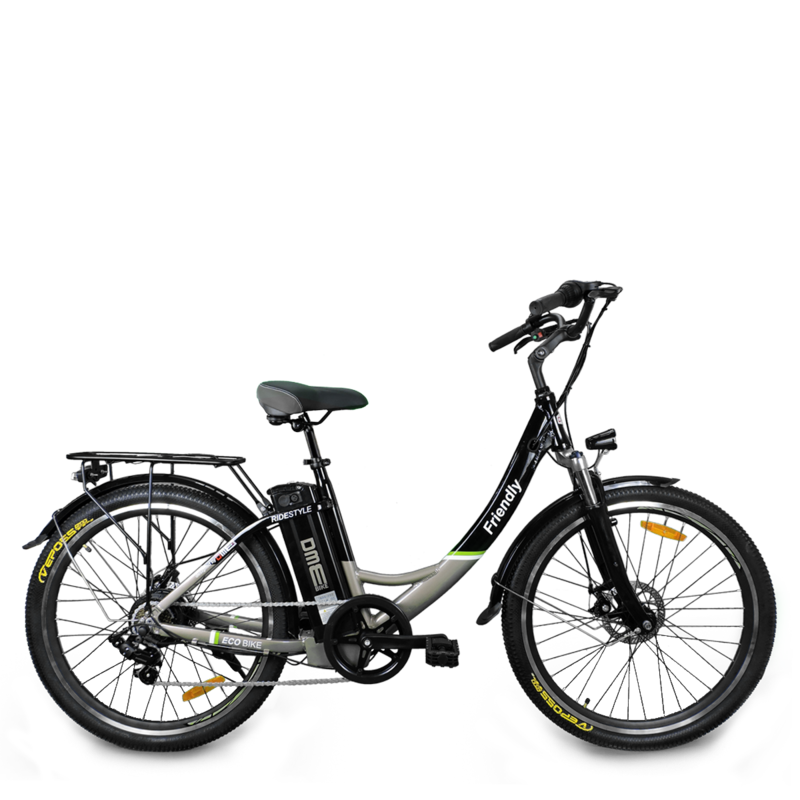 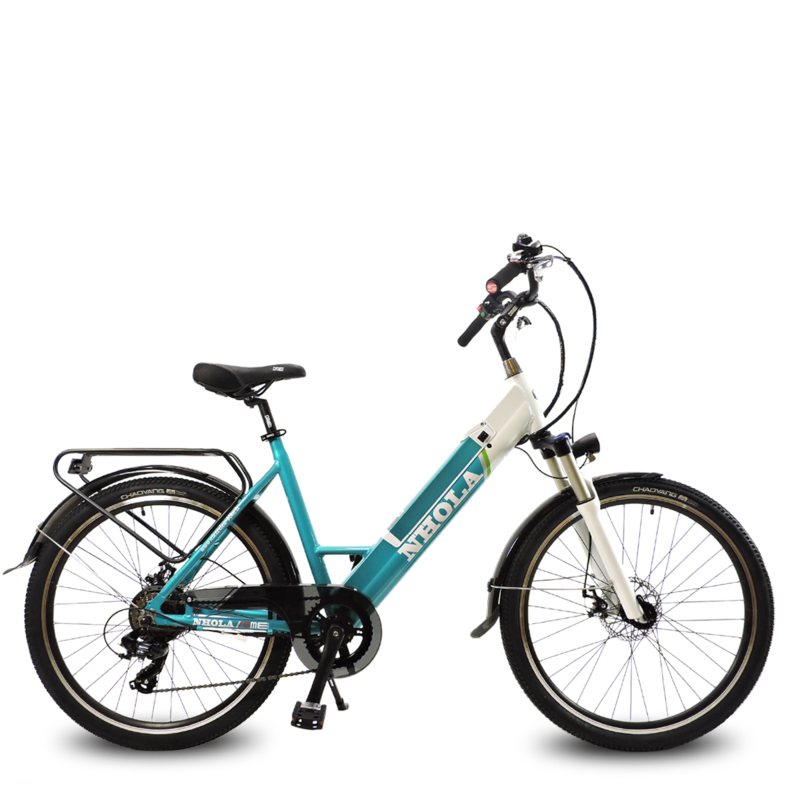 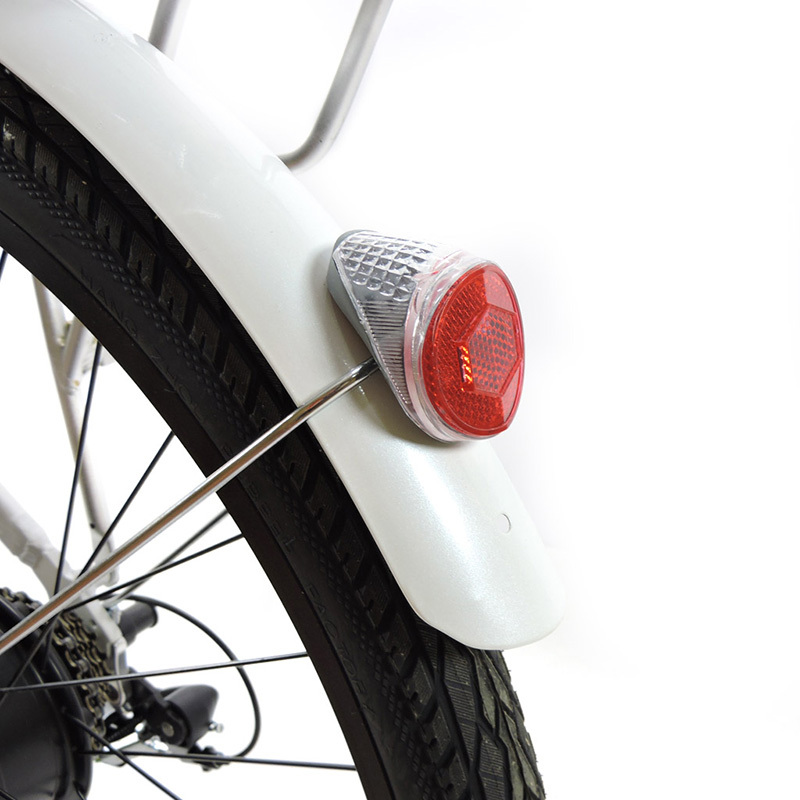 26 "electric city-bike, mechanical brakes, double shock absorber, aluminum rims, 5 levels of assistance. 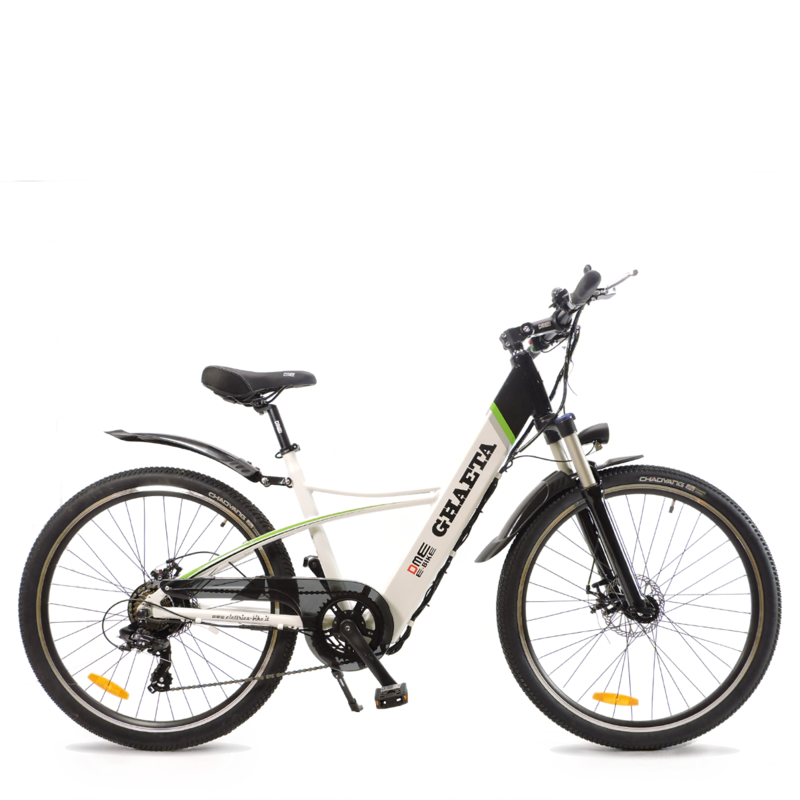 Face the asphalt in all comfort and practicality, with also the thrust of the brushless electric engine to cope with long journeys or difficult climbs. 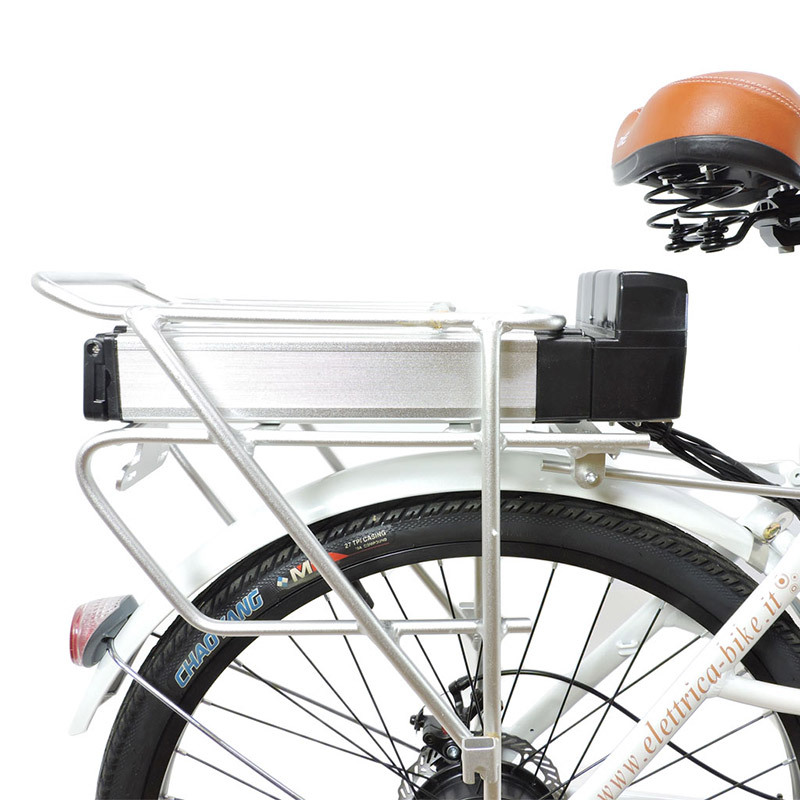 Comfortable seat, rear luggage rack and front basket: the city bike is the undisputed queen of sustainable mobility between streets and buildings.